Mard Ko Dard Nahi Hota To Release On 21st March, 2019! 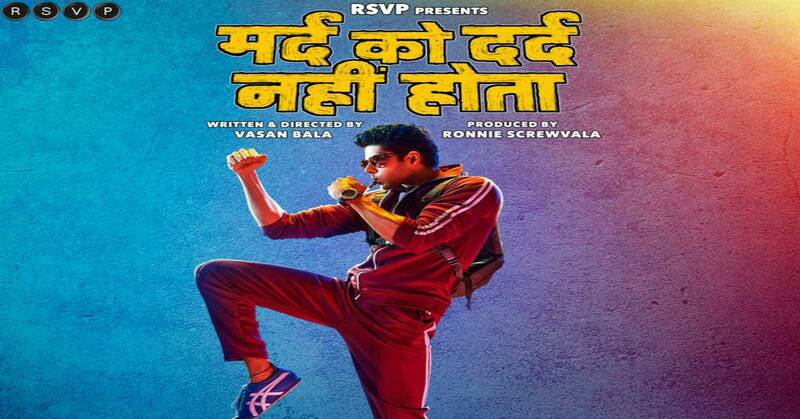 RSVP's Mard Ko Dard Nahi Hota is all set to hit the theatres on 21st March, 2019. The film which marks the debut of Abhimanyu Dasani. Earlier, the makers had released the trailer which opens with a young guy talking about how his dream in life is different from everyone else's. Just then, a bulb drops on his head and he starts to bleed. It is then revealed that he suffers from a rare disease called congenital insensitivity to pain, which means he literally can feel no pain. The film revolves around a man with congenital insensitivity to pain, hence the title. Its English title is "The Man Who Feels No Pain".